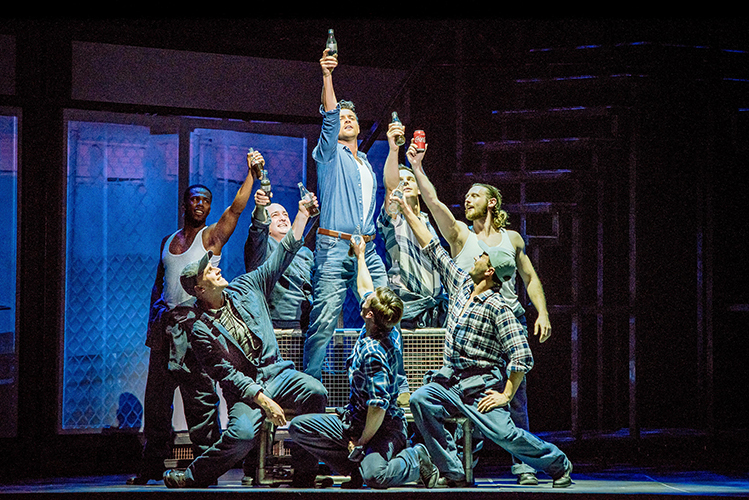 REVIEW | Flashdance UK Tour. Like Footloose back in 2016, Selladoor productions are taking another 80's classic onto the stage. Having read up on some reviews before the production and having seen the 2010 musical, directed by Kenny Leon, I was wondering what I would expect from this new touring production. 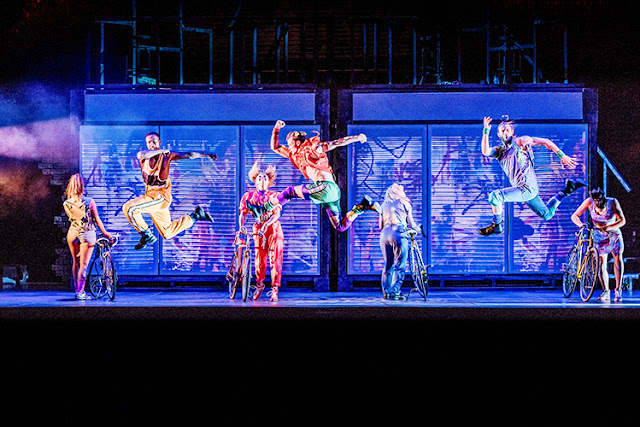 Leading the cast was previous Strictly Come Dancing professional, Joanne Clifton as Alex Owens and 90's boyband frontman, Ben Adams, though he's known for recently writing the smash-hit new musical, Eugenius! Set in Pittsburgh, Alex Owens dreams of a better life filled with dance, far away from the factory where she works as a welder. To fulfill her passions she settles for a few nights dancing at Harry's bar, it's not enough and plucks up the courage to apply to the esteemed Shipley Dance Academy. On the horizon is also a new love interest in the form of Nick Hurley, who happens to be the boss's son. Within the musical there also a couple of side plots, like best friend Gloria being drawn into a seedy world of lap dancing and drugs whilst her boyfriend, a pursuing comedian, Jimmy, is failing to make it big in the Big Apple. These side plots meant that none of the storylines have the opportunity to be explored too deeply and are all lightly touched on. Of course, the audiences are there for those big song and dance classics that the film is so iconic for such as 'Maniac', 'Manhunt' and 'What a Feeling'. You won't be disappointed with this production in that sense. Joanne Clifton is a definite triple threat as the lead Alex Owens. We knew she could dance from her time on Strictly but she stuns the audience with a brilliant vocal performance, especially for the large space that the De Montfort Hall in Leicester has. Ben Adams is great as Nick Hurley but his performance could be improved by more work on his diction, particularly when he is trying to put on an American accent. His nasal like vocals really didn't fit the bill for me either, unfortunately. What was quite wonderful was that the vocals from Clifton and Adam intertwined effectively in their duet number 'Here and Now'. The ensemble dancers really do take the limelight with this production through and through. Expect to see references to some of the choreography from the film thanks to choreographer Matt Cole. His energetic, complex movement wows the audience throughout the production. One of the performances of the night for me came from Tess (DemmiLeigh Foster). This performer executes incredible vocals as well as a mighty punch in her dancing. The Director Hannah Chissick has most definitely captured the spirit of the much-loved movie, with an industrial style set that utilises steel and digital projections to bring the 80's back to life. There is so much constantly moving and the set moves well in the direction of the overall production. Flashdance The Musical takes all of the best parts of the movie and definitely adds fresh, new magic that will definitely attract the audiences to have a great time at the theatre. I definitely feel as though it has more to give! The musical will be performing at De Montfort Hall, Leicester until Sat 31 March. You can also find out whether Flashdance The Musical is at a theatre near you by visiting the Selladoor website here.